From the very first day it arrives an RBI woodplaner starts paying for itself. 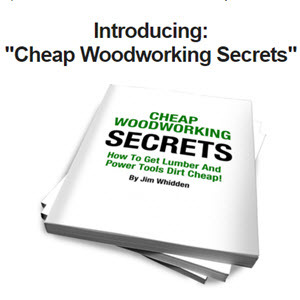 With lumber prices increasing, you'll convert low-cost rough lumber into high-value finished stock. RBI Woodplaners Make You Money! Just Imagine turning $5 worth of lumber into molding worth $100 ~ in just minutes! In just one pass you'll turn out quarter round, d(x>r and window stops, casings, tongue and groove, picture frames -hundreds of popular patterns or we'll grind custom knives for you. With this low-cost, high performance woodplaner, you're setup to supply cabinet shops, carpenters, remodelers, contractors, lumberyards, and hobbyists with their millwork needs. Plus, you can supply picture frame molding to art stores and frame shops. Change from Planer, to Molder, to Sander, to Sawr in just minutes! Quick cliange over from one function to the next. Each head comes with its own bearing assembly giving you longer life and durability. Hie Planer, Sander, Molder, and Gang-Rip functions produce curved or straight molding, eliminate tedious hand sanding, gang-rip lumber and plane wood to a silky smooth finish. Cau.Today To Ordkr Factory Director For Yocr Frff.Cataijog. 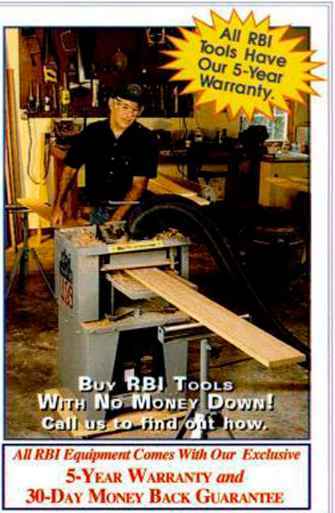 RBI Woodplaners Will Make You Money! Just imagine turning $5 worth of lumber into molding worth $100...in just minutes!